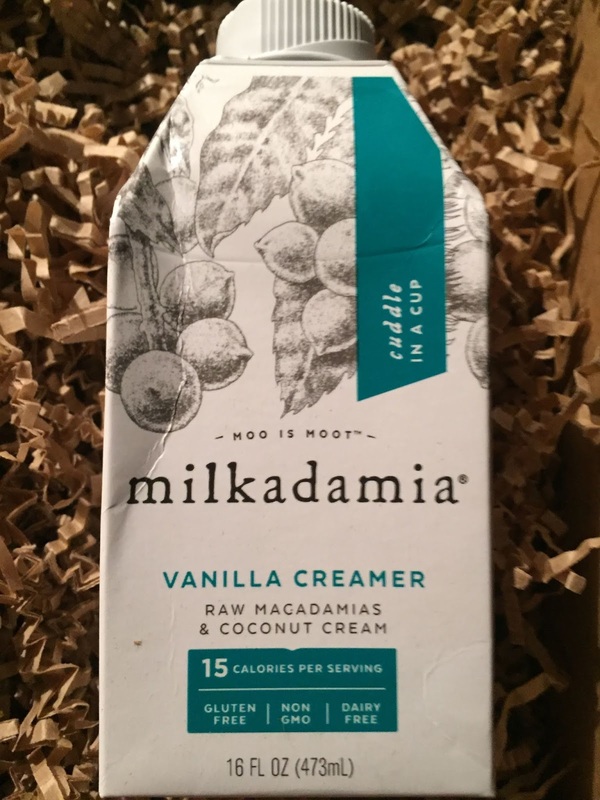 If you are looking for a non-dairy creamer for your coffee try Milkadamia a creamer made with macadamias. 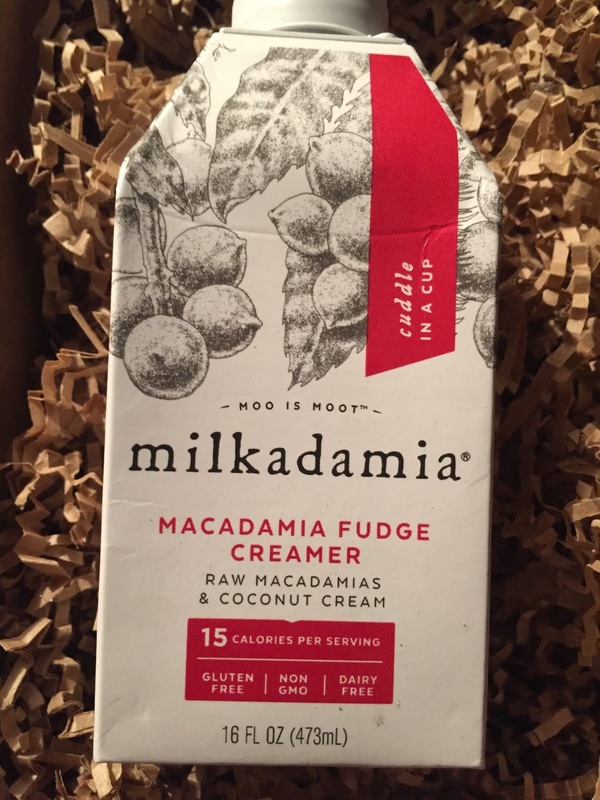 These creamers made with raw macadamias and coconut cream are only 15 calories per serving. 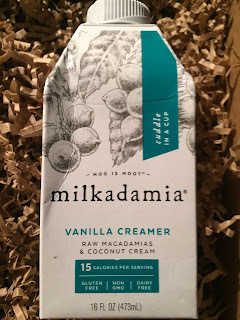 A non dairy creamer that is delicious and good for you. 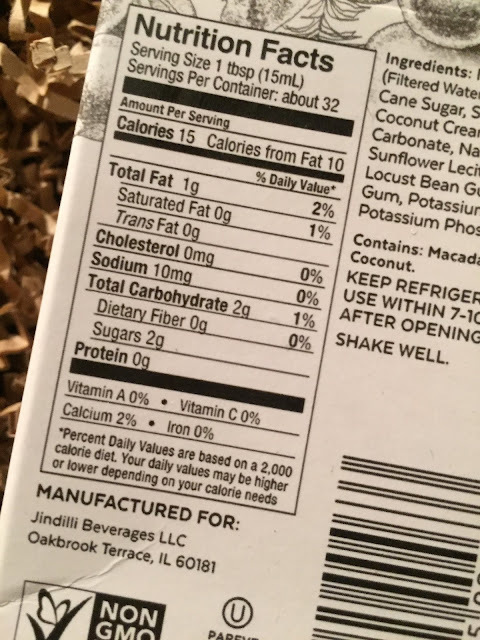 They are vegan, dairy free, gluten free and non-GMO. 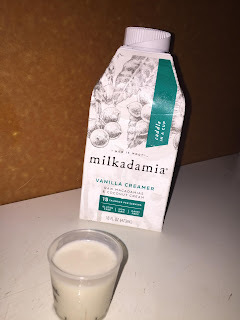 My daughter and I loved Milkadamia as shots! They are delicious and a real treat. We had 2 shots each and I would have had more if I didn't want my co-workers to review this for me. As a creamer it would take me some getting use to in my coffee, we like light with milk coffee and you would have to put a lot of this to get the color I need to really enjoy my coffee. 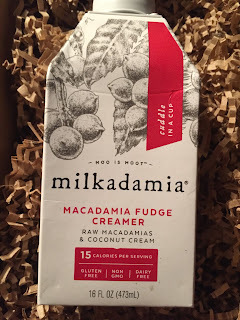 Since my co-workers are all vegan folks and usually drink dairy free I asked them. The first thing they said was they had never saw a non-dairy, flavored creamer and were all very excited to use it. Liz said that it was delicious and she really enjoyed the vanilla creamer. She said she did put a little more than a serving to make it lighter but as a dairy drinker would buy this. Meg is all vegan and says she loved it. She didn't think it would be good but said she would be looking for it. She said she is very use to non-dairy and drank more coffee because of it. Elizabeth loved it and added that she noticed a separation on the top of her coffee and that she probably didn't shake it enough. It was at the end of the container which was surprising to me. It lasted one day in my office which tells me the girls, even the ones who didn't report back loved it! 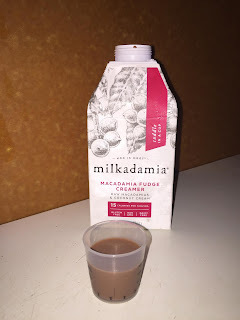 Milkadamia has many flavors to chose from so be sure to check their website and follow them on Facebook and Instagram.